This past weekend, I attended one of the biggest anime conventions in my area. Though there were problems for many, which included stuff like incorrect information given (or updated info not given), confusing maps to where people couldn’t find panels, lack of volunteers to guide people on where to go, etc., I think the space (at GRB) where the location was at was pretty spacious compared to previous years where everything was so compact & tight. Nonetheless, I did enjoy my time at the con, meeting up with friends and enjoying the artist alley & dealers room. I even purchased a few items, and got to meet Vampybitme. On Saturday, I cosplayed Ciel Phantomhive from Kuroshitsuji (Black Butler), and on Sunday, I was only there for a few hours, but I cosplayed Tifa Lockhart from FFVII Advent Children. This was my first time crossplaying, and to my surprise, my Ciel cosplay got quite a bit of attention, esp. from girls & mothers. Haha. 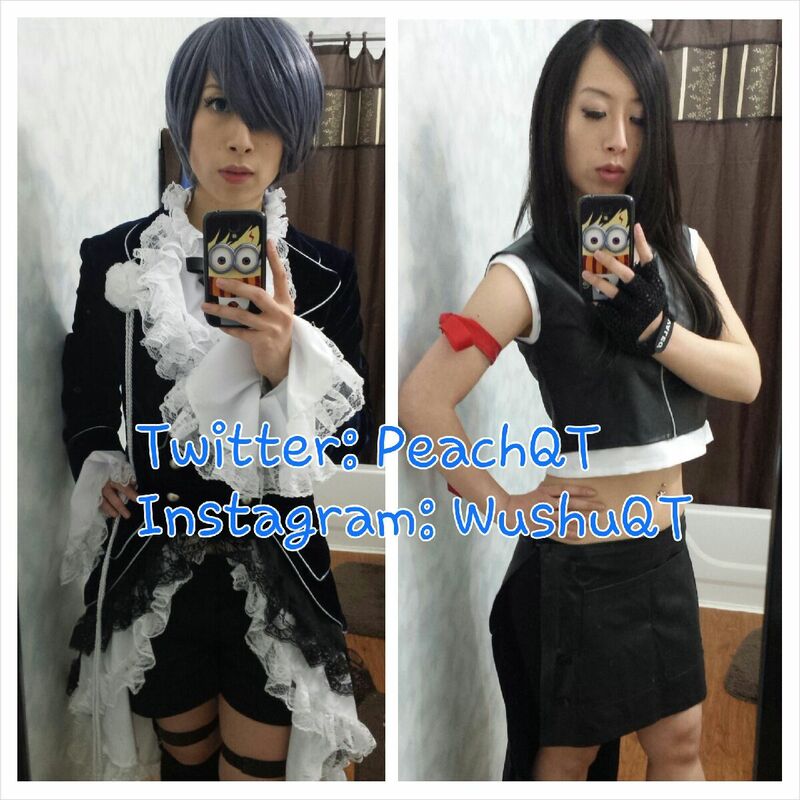 😛 I will provide a selfie of both of my cosplay costumes. If anyone sees or has pics of my cosplay, please feel free to share them with me or tag me. I provided my Twitter & Instagram names on the pic, and will post my FB page below.